Today we wrapped on principle photography of the latest feature film I'm shooting. We got to shoot in some fantastic locations, from the abandoned towns of Salton Sea and fields of grass in Malibu, to a bit on a soundstage and the basement of an old hospital. Mostly shot handheld on a RED Epic, with some small pieces on a Panasonic GH4 riding the DJI Ronin. While I've flown my Dragon on a Ronin, I have to admit that something small like the GH4 is much easier to hold for longer takes. While I've already begun some basic pre-production for my next shoot, now that I'm wrapped on this I can really dig in. Although it's a smaller project (teaser trailer for a Kickstarter campaign), it is ambitious, should be a lot of fun, and we have some really cool shots lined up. Once that's all done, it's likely straight into another feature, currently scheduled for early May. Gotta keep shooting! Nothing quite like natural sun right before sunset. That soft, golden light is beautiful. Too bad it doesn't last a couple hours longer. I had one day off from the feature I'm shooting, so what better thing to do than camera operate on that day? It was a pretty easy shoot and we had 4 cameras: 2 RED Epic Dragons, a RED Epic MX, and a RED Scarlet MX. 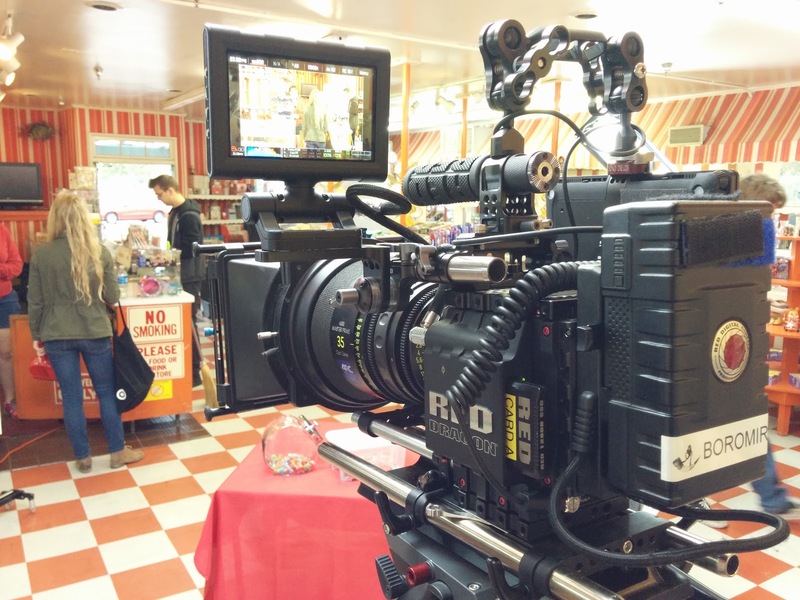 Shot on Arri Master Primes, a Canon Cine zoom, and an Angenieux zoom, all in a candy store. Built up my RED Dragon with an Arri Master Prime. I think I need a set of these. 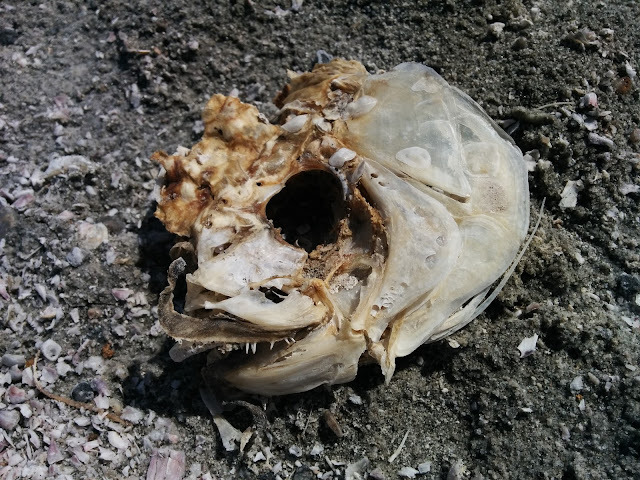 This past week was spent out in the Salton Sea desert area shooting the first week of another feature film, Robot Fighter. 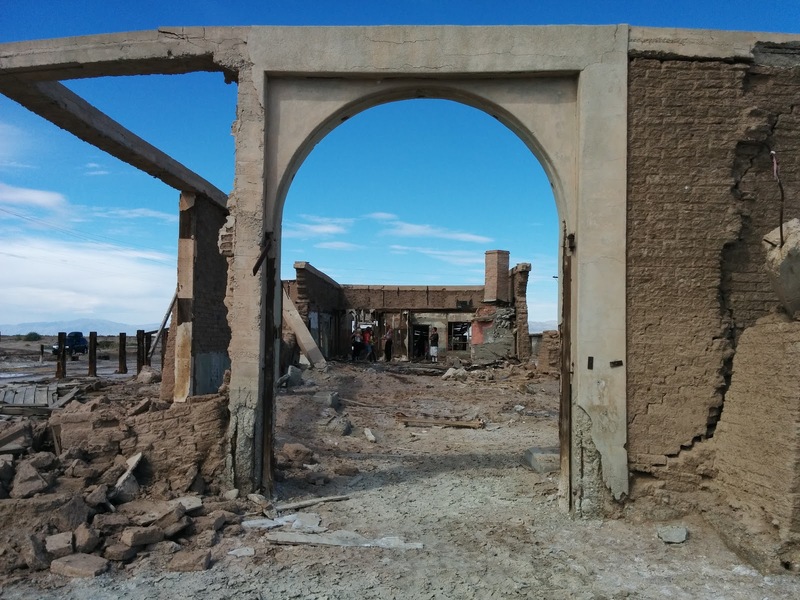 We shot in a bunch of fantastic locations, with dilapidated remains of abandoned buildings featuring heavily. Fortunately, it wasn't too hot and we managed to get some great footage. Most of my features to date have relied mostly on tripod and sliders, but this one the director decided to go for a handheld look. My shoulder is a bit sore from the not-so-soft shoulder pad on the handheld rig, but I've got a Camera Comfort Cushion on the way and it should be here Monday. I'm looking forward to shooting the next week on set, which will offer an interesting change of venue. 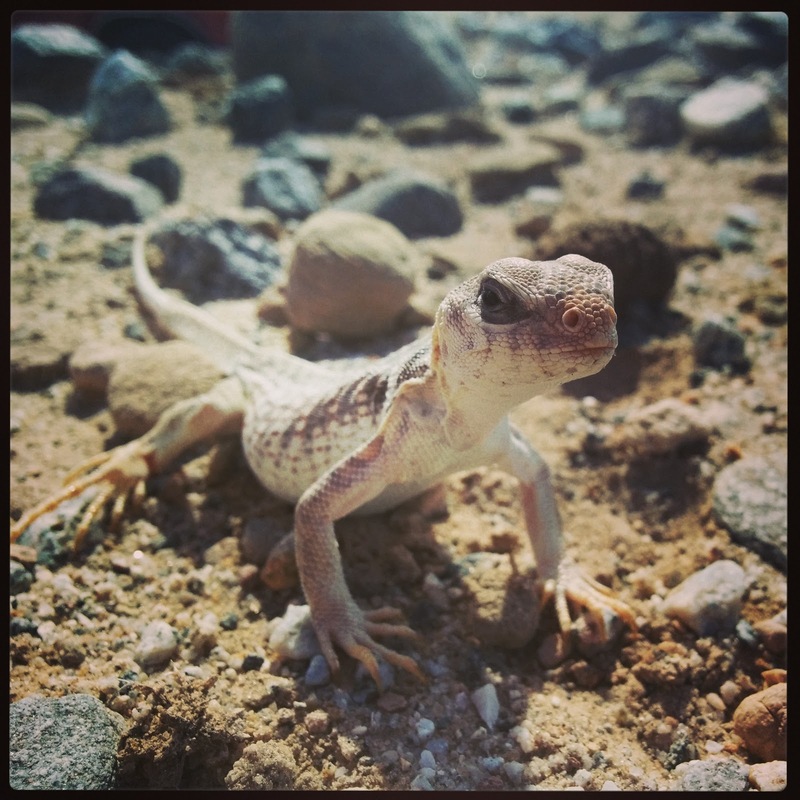 This guy was hanging out, watching us shoot, and wasn't afraid to pose for the camera. One of our many broken down building locations. 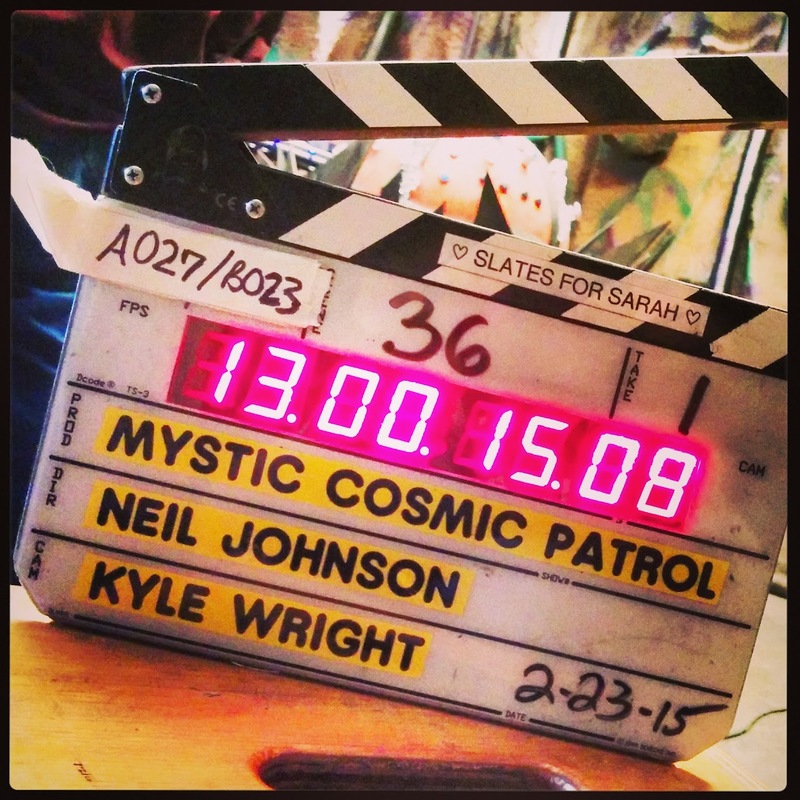 Well, we wrapped on the first 3 episodes of Mystic Cosmic Patrol. It was a lot of fun seeing the hilarious script brought to life by the actors. On our final day, it was threatening to rain and we had some outdoor scenes to shoot, but the weather ended up working out and we got everything done. There are still some miniatures to be shot, but principle photography is done and the footage is off to the editor. Unfortunately, the last two Nobility pickup days overlapped with this project, so I missed out on that, but it sounds like they managed to get it handled fine. Now I've got a little down time before my next feature begins towards the end of the month if all goes to plan. So I'll leave you with another picture that doesn't really give anything away.